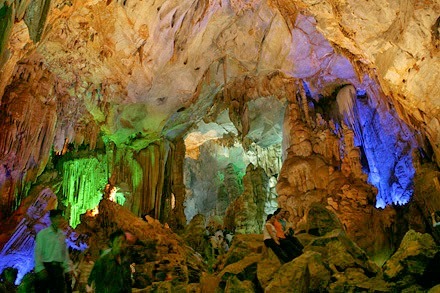 Phong Nha - Ke Bang National Park (Vietnamese: Động Phong Nha Kẻ Bàng) is located in the ecological site of North Truong Son, covers administrative borderlines of Bo Trach, Minh Hoa districts Quang Binh Province, Vietnam; about 50 km northwest of Dong Hoi city, about 500 km south of Ha Noi capital, is evaluated as one of the 238 globally important ecological regions, with ranges of calcareous mountains which have almost been developing continuously with relatively unified components, is the largest Karst region with an area of over 200,000 ha. 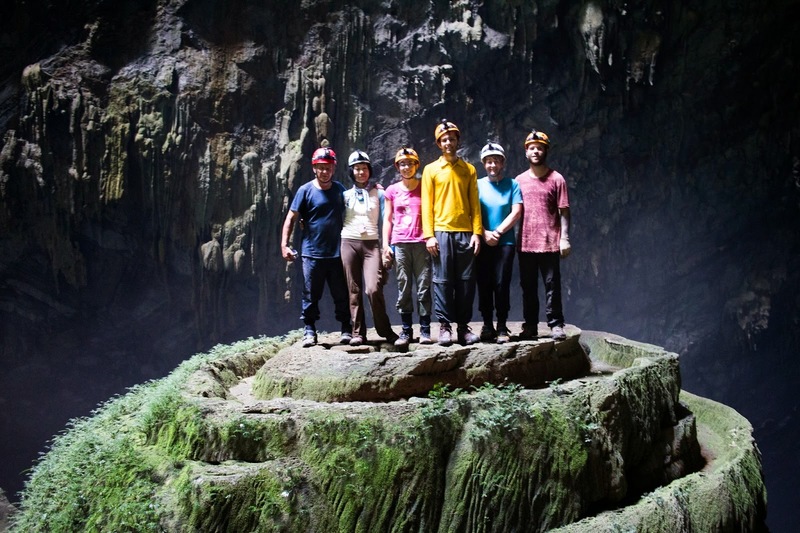 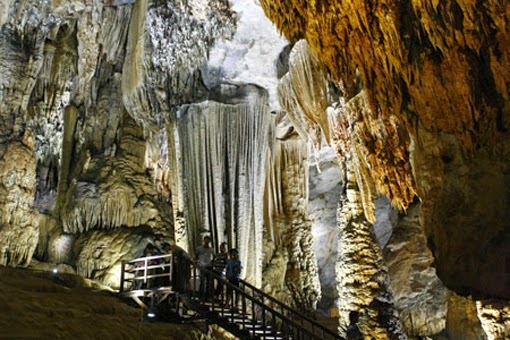 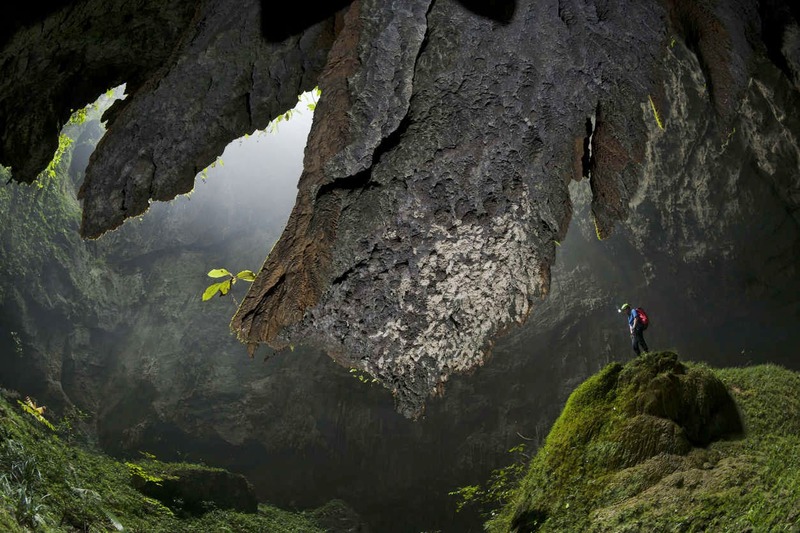 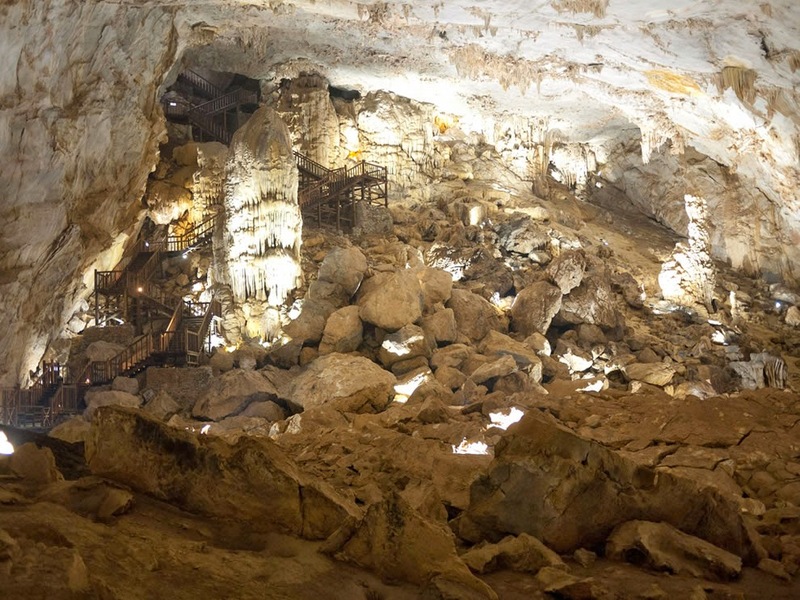 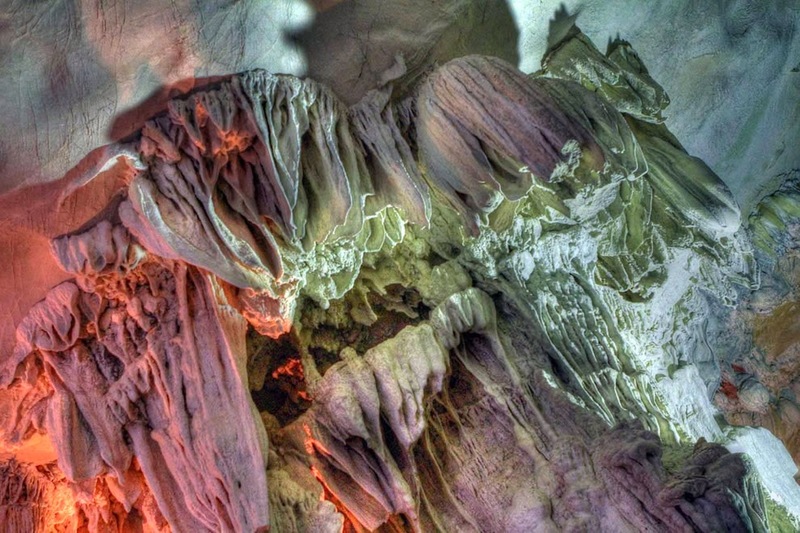 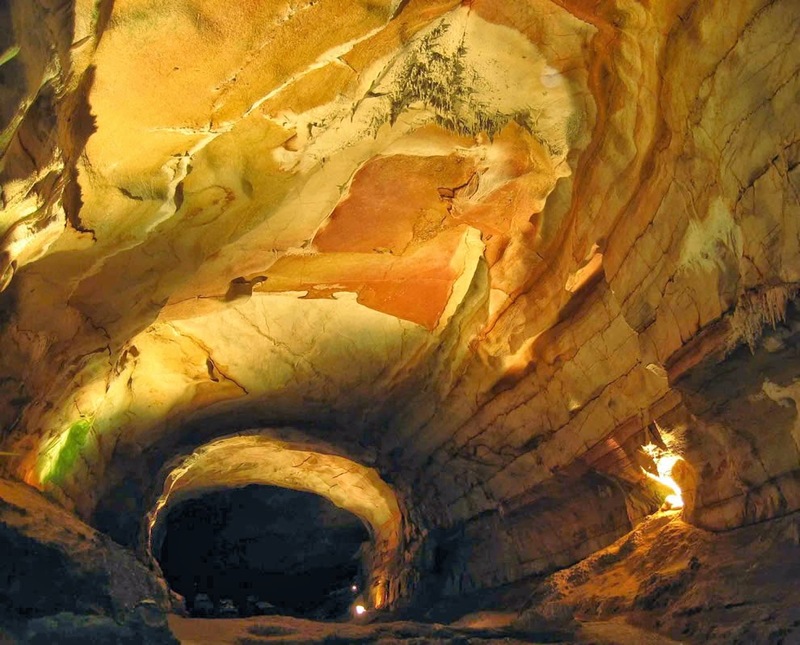 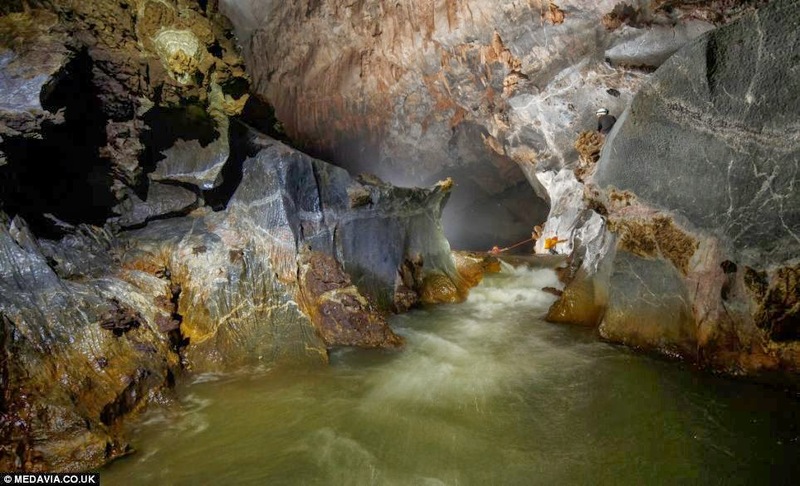 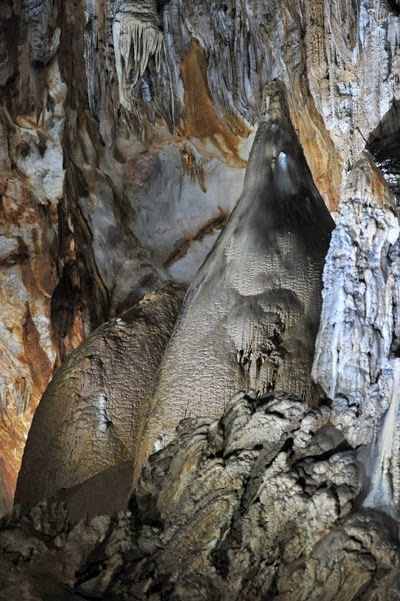 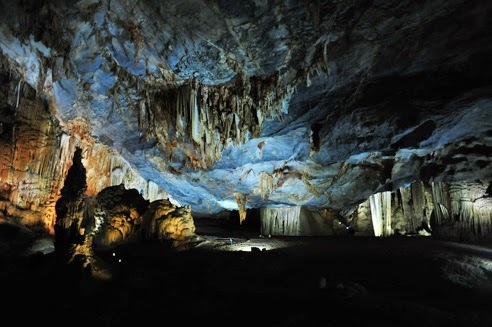 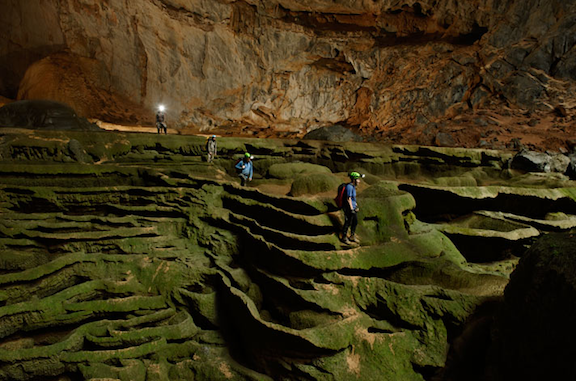 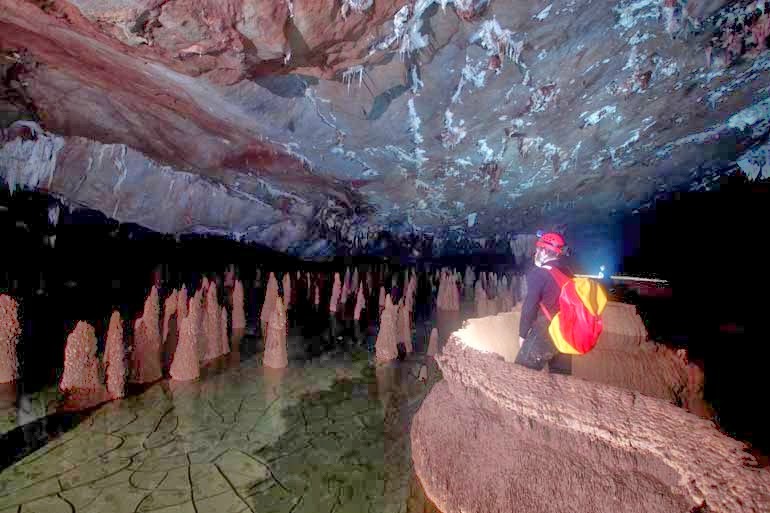 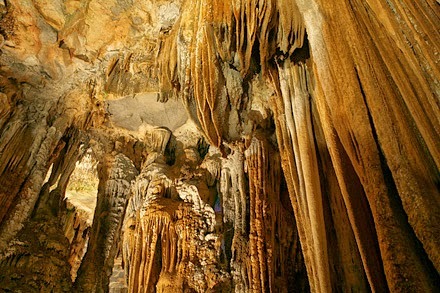 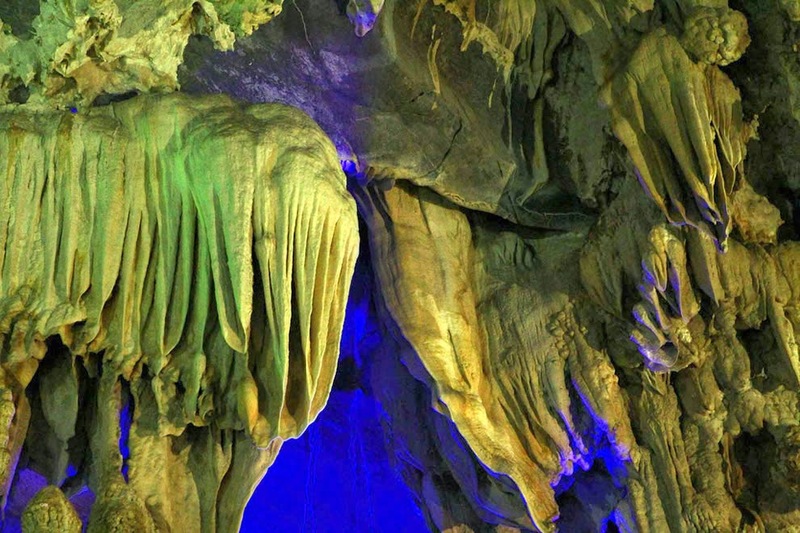 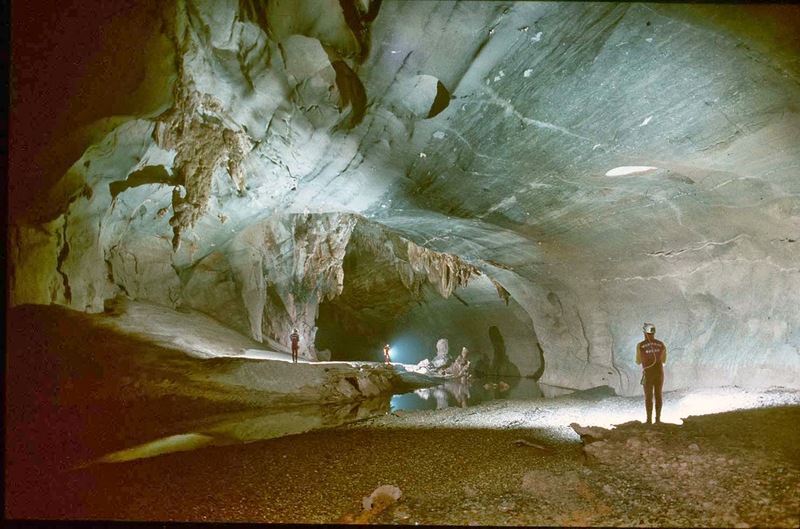 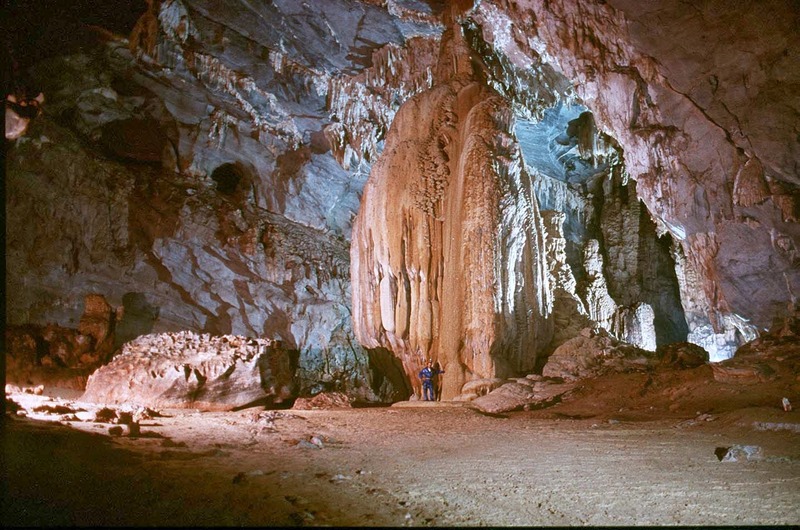 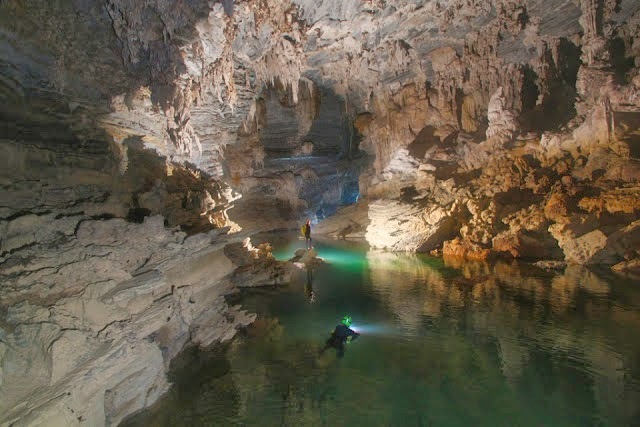 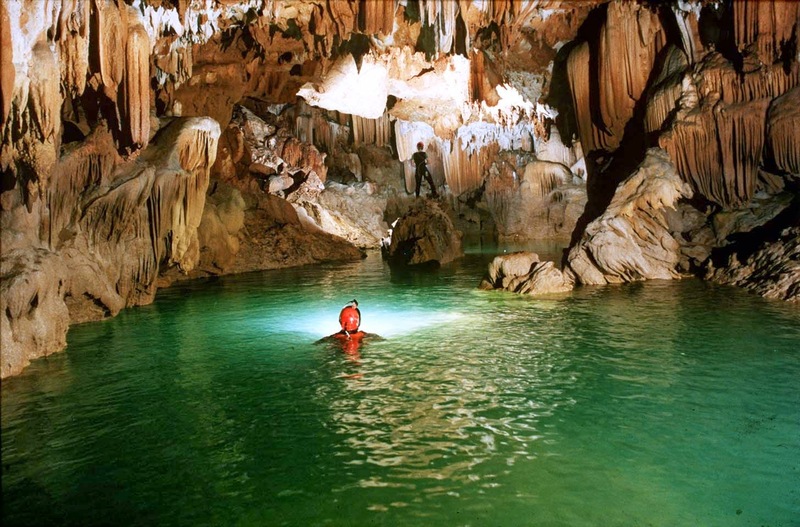 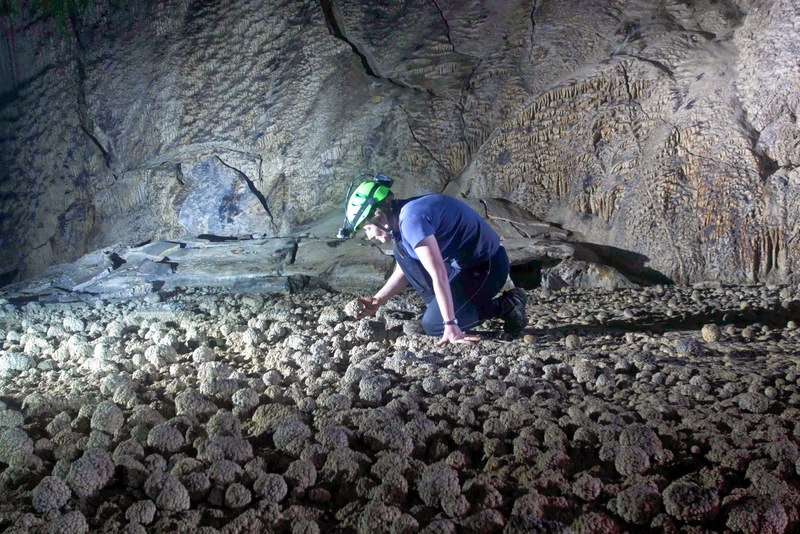 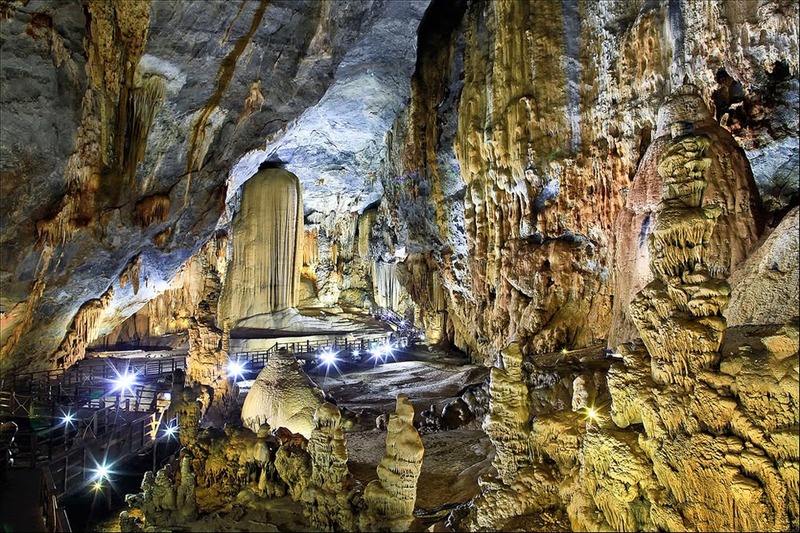 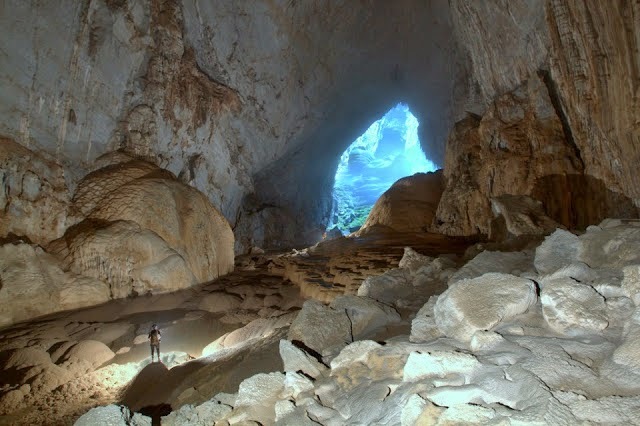 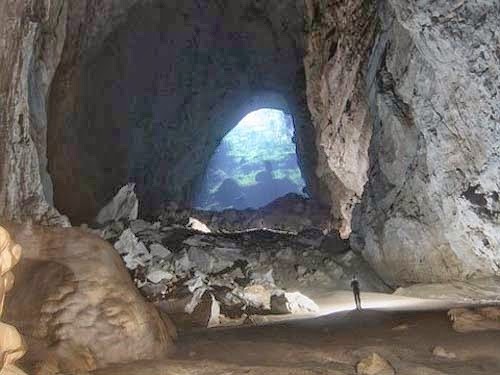 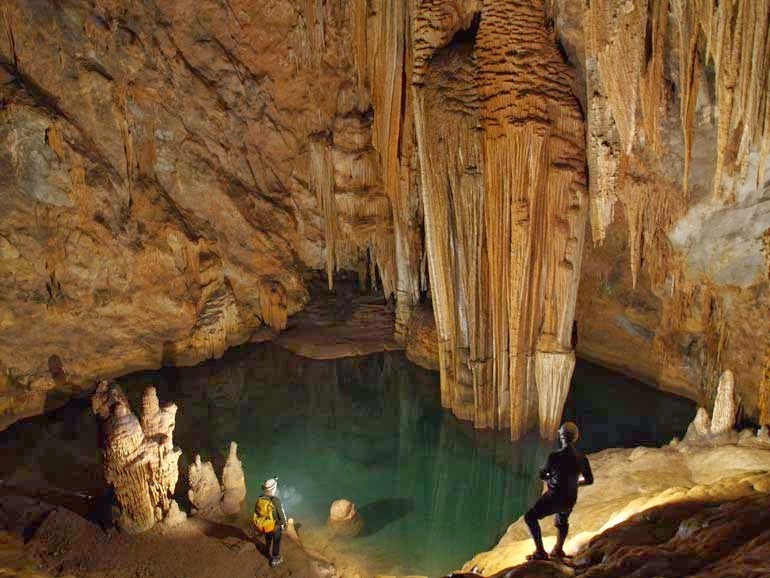 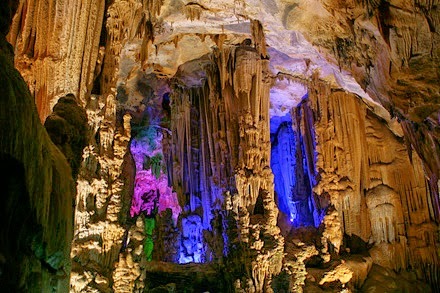 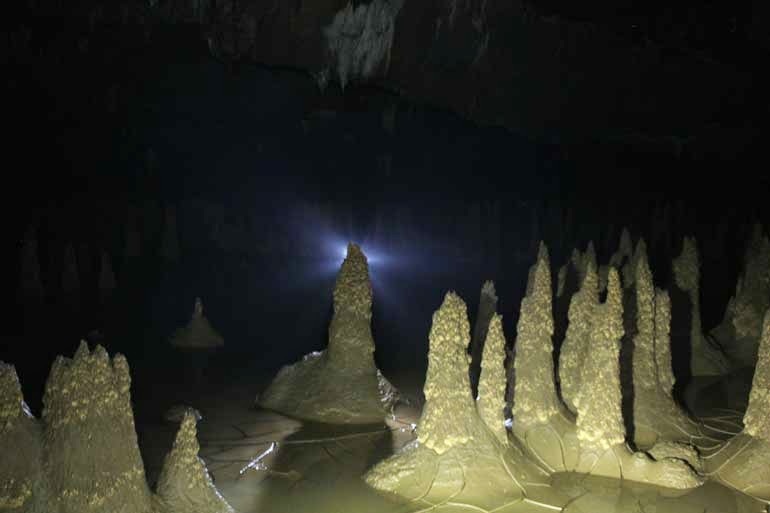 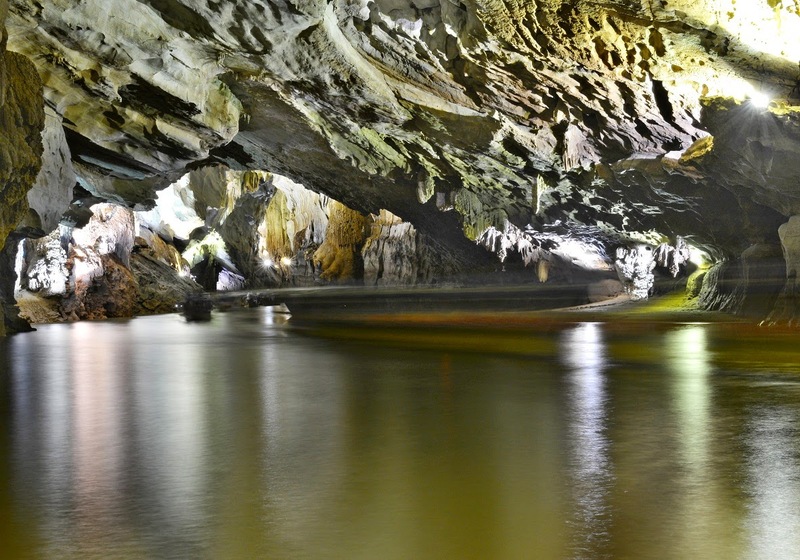 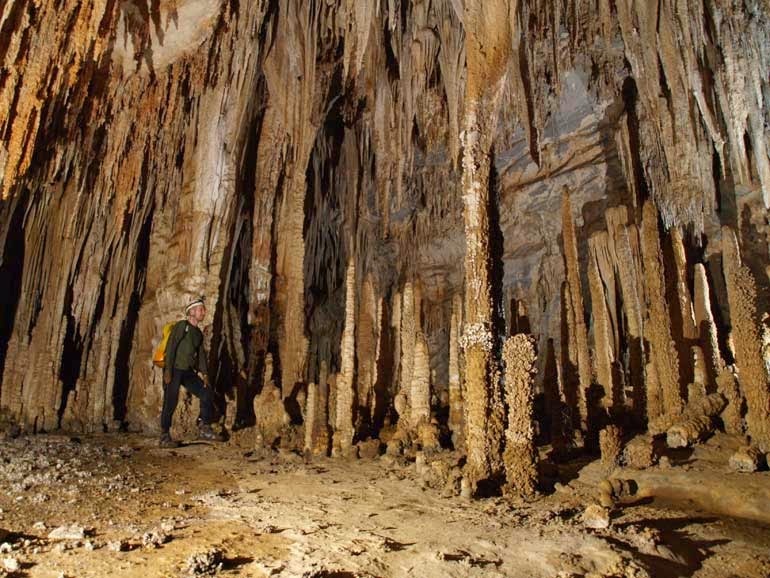 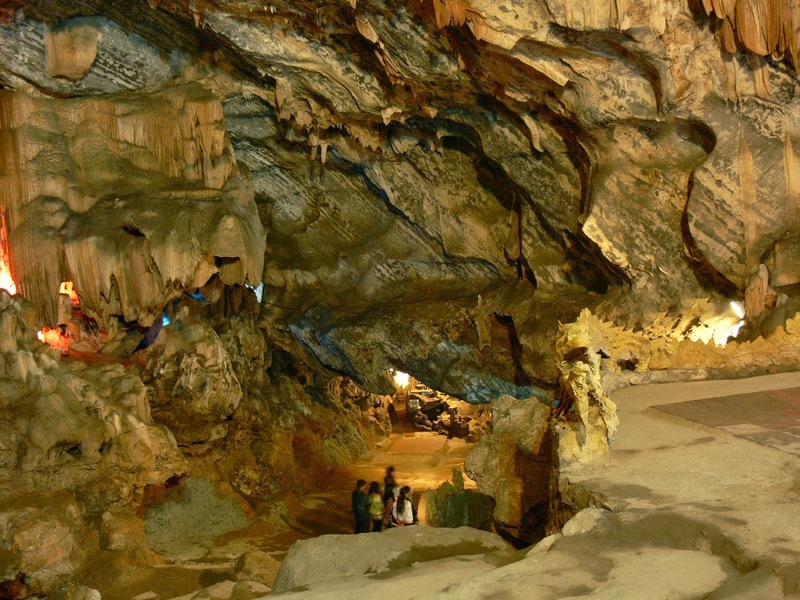 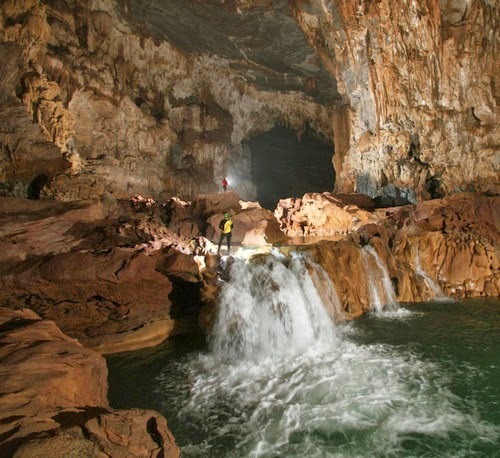 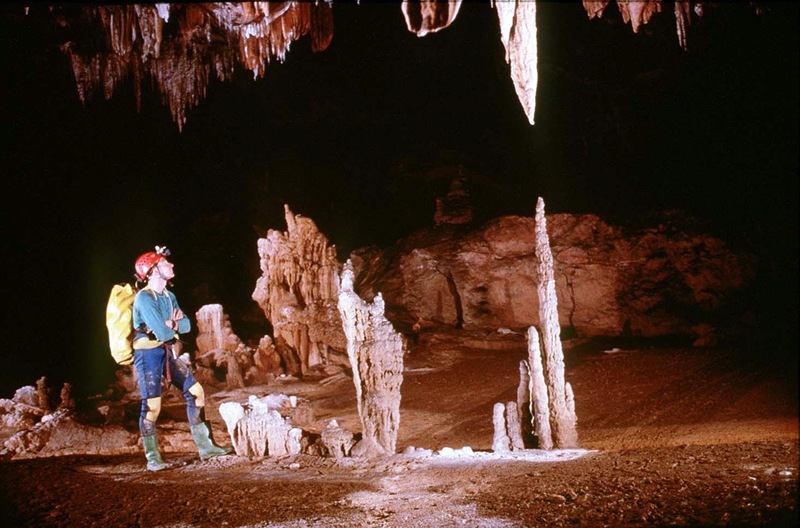 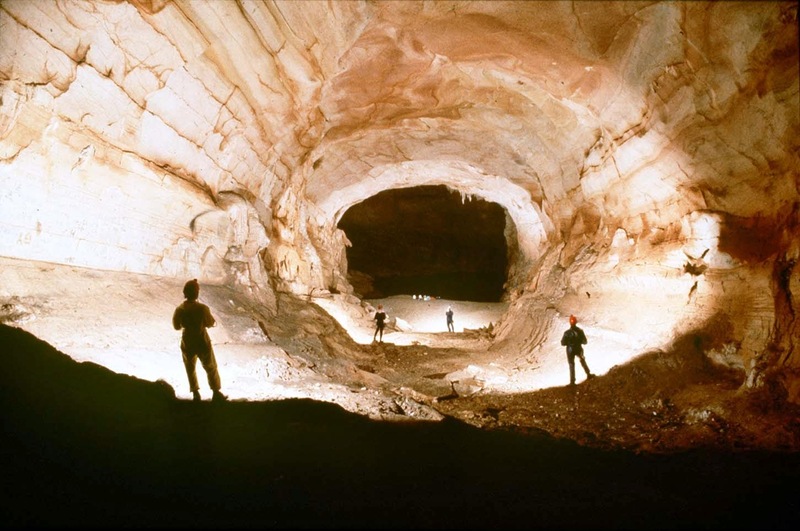 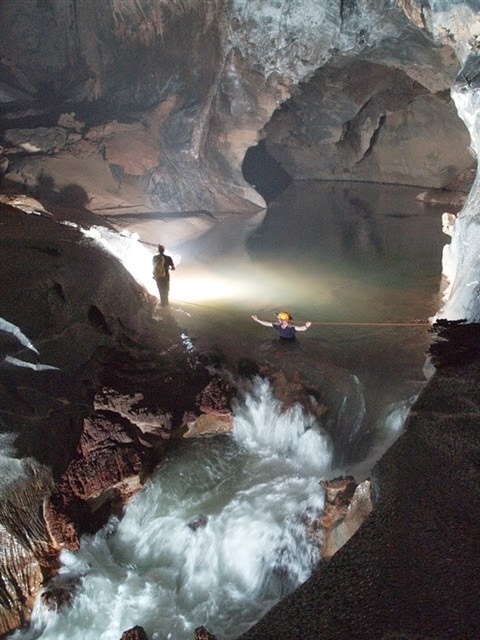 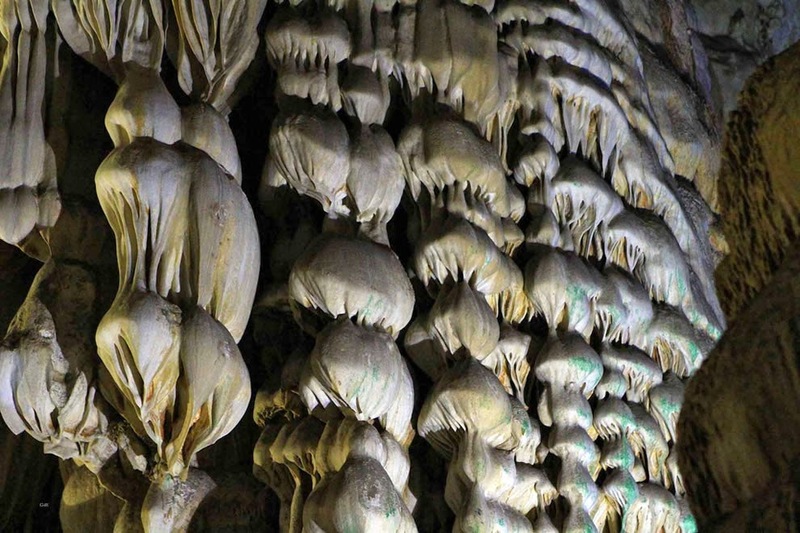 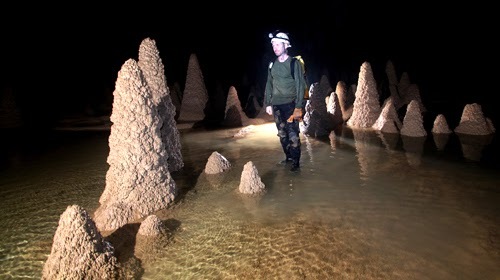 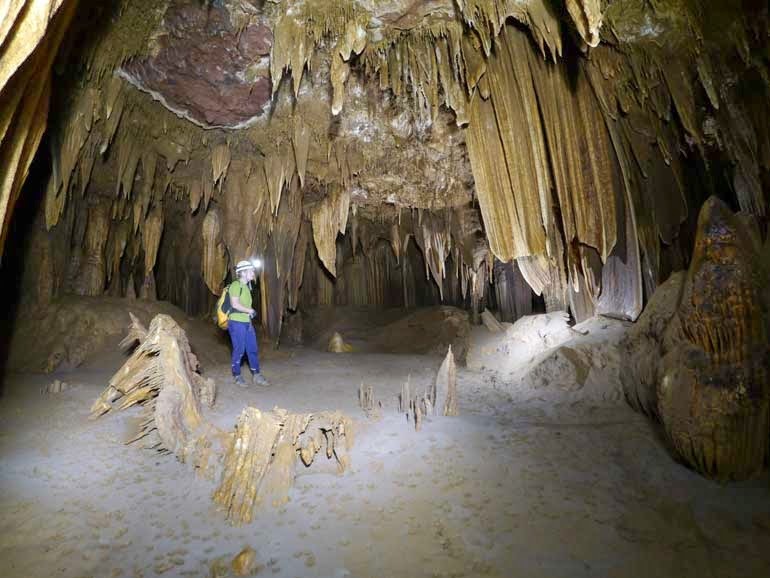 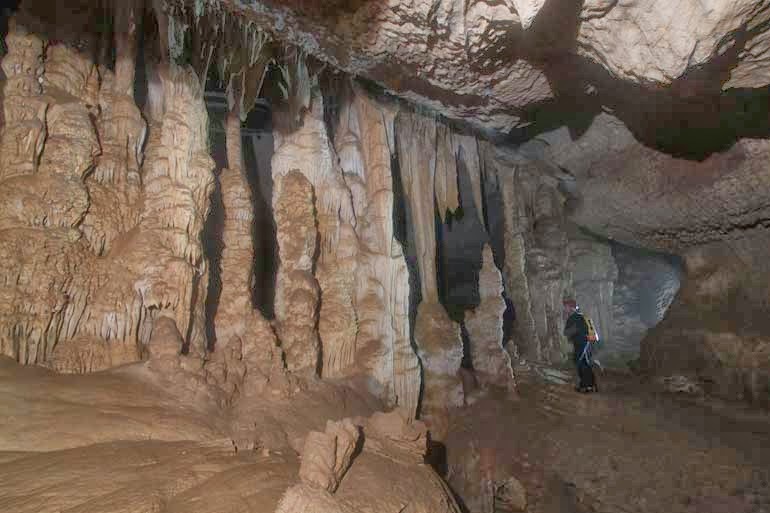 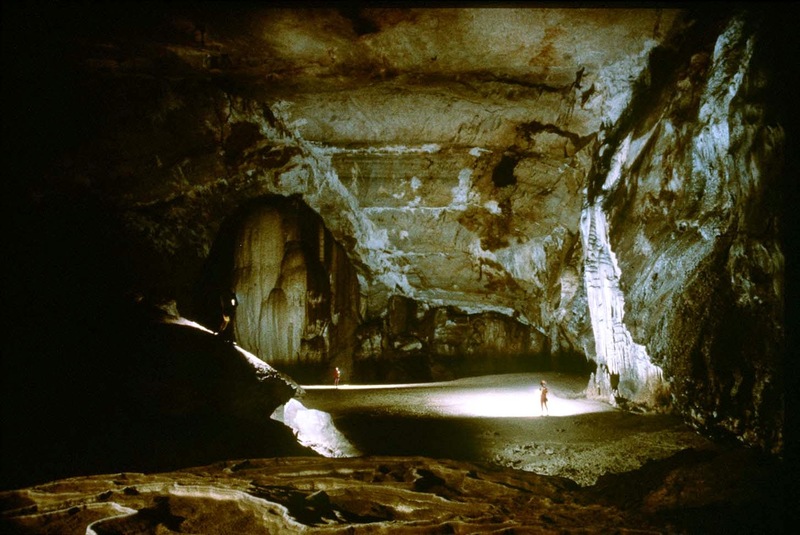 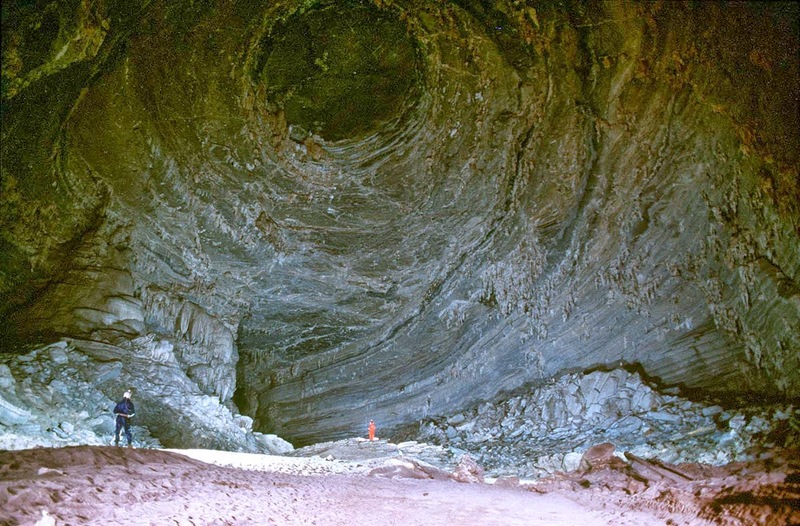 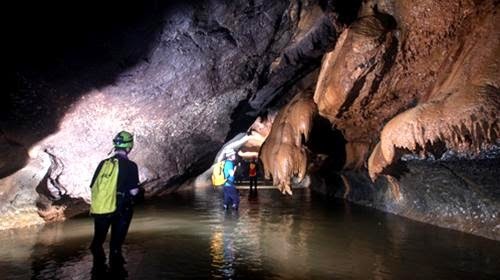 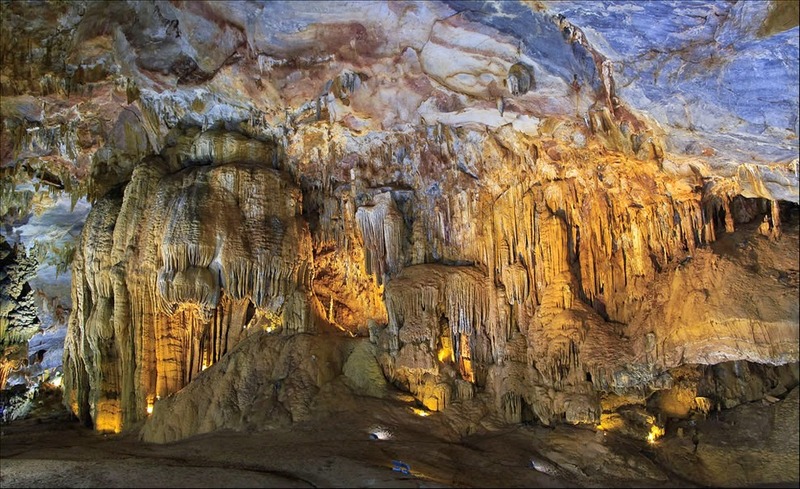 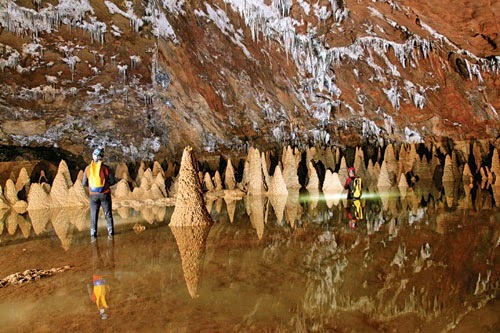 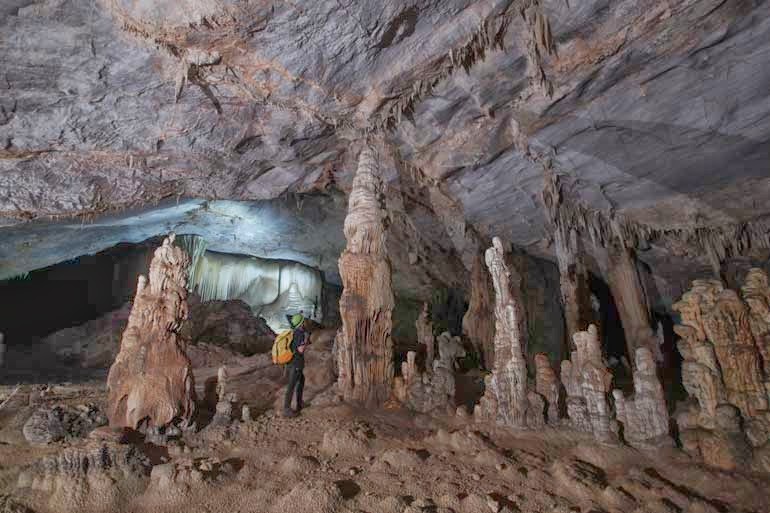 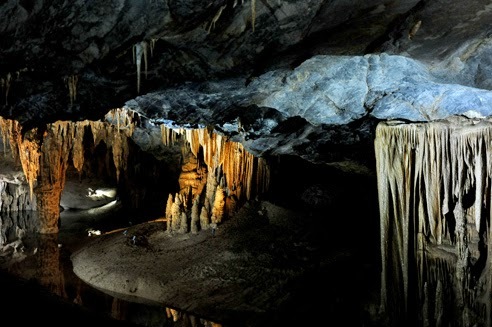 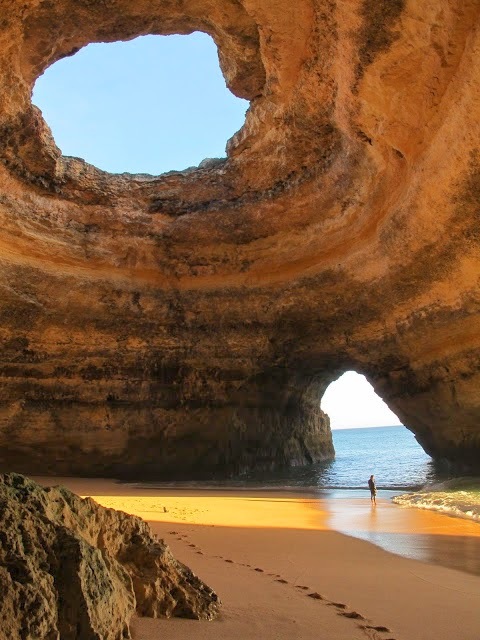 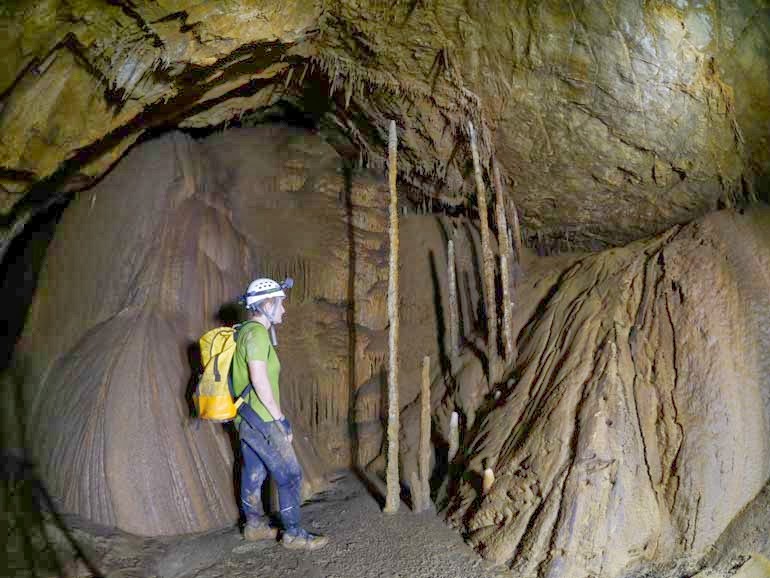 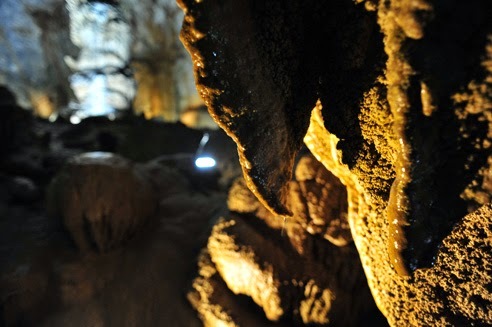 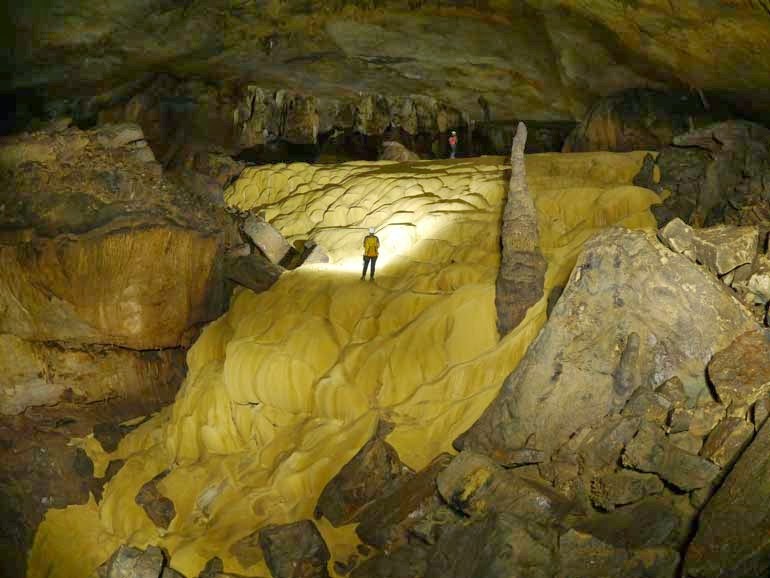 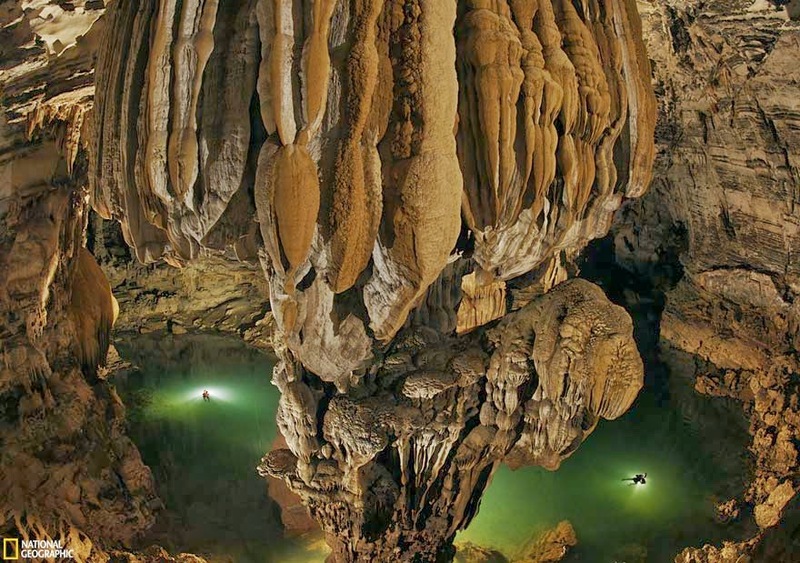 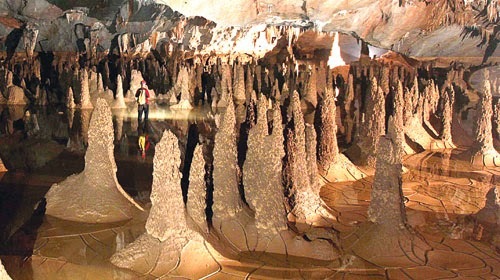 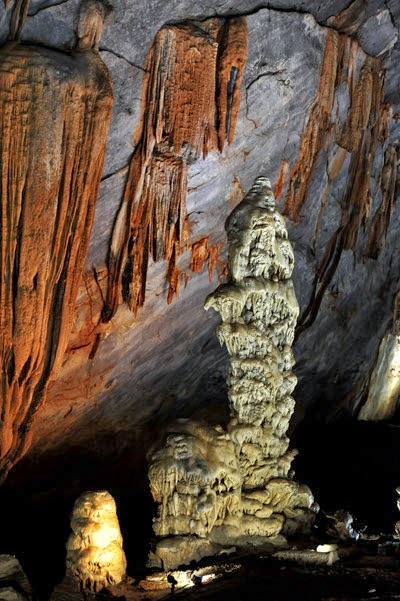 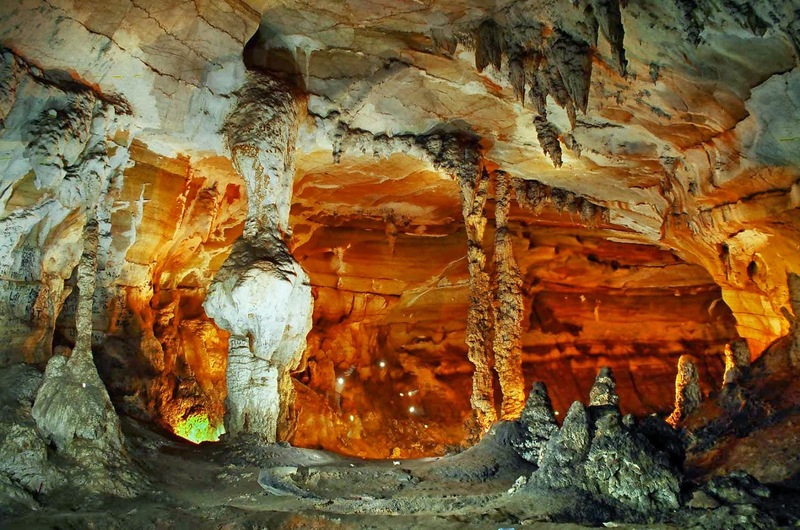 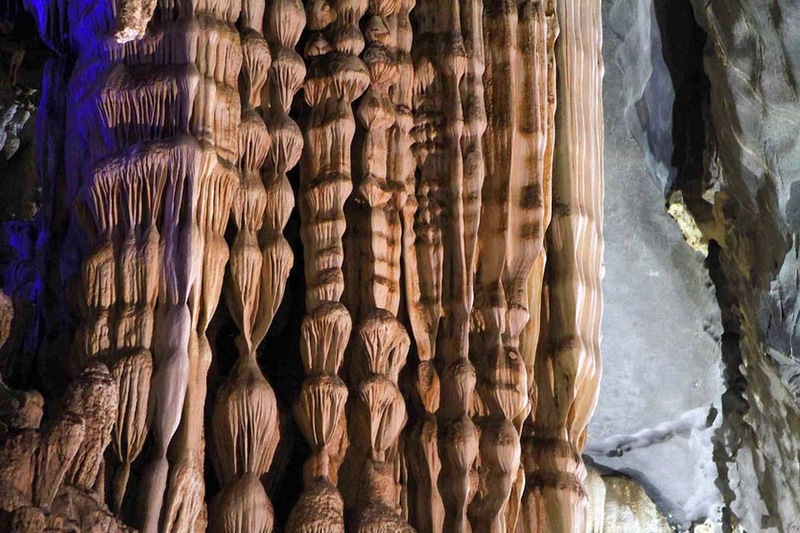 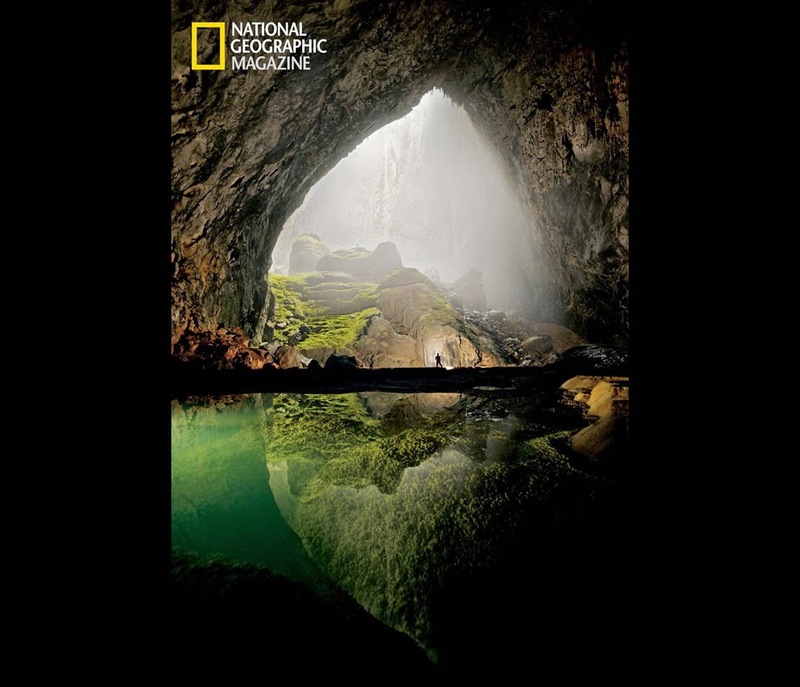 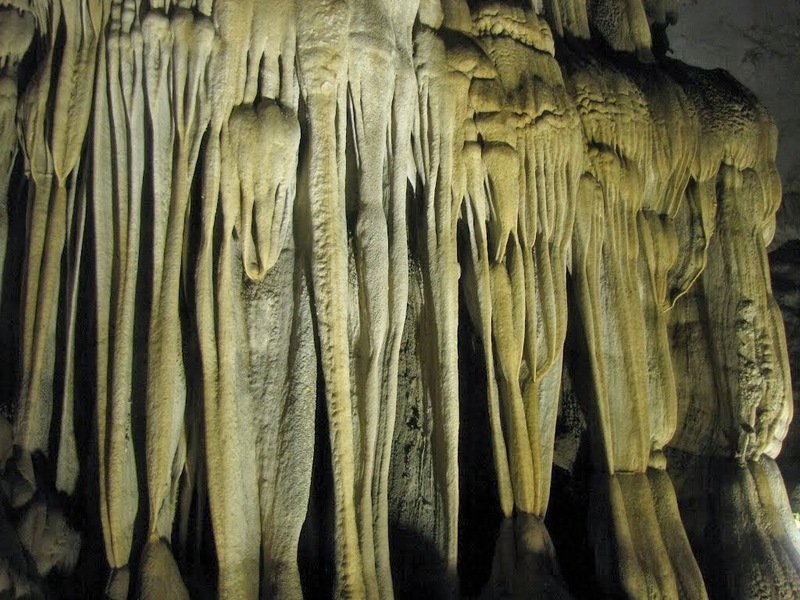 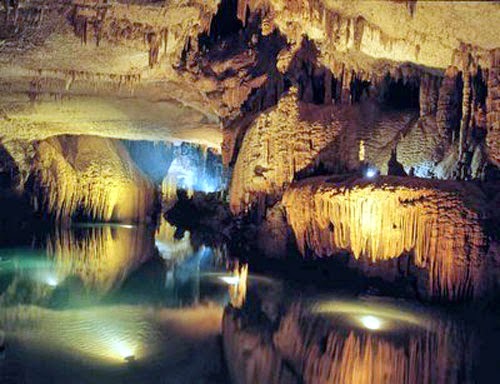 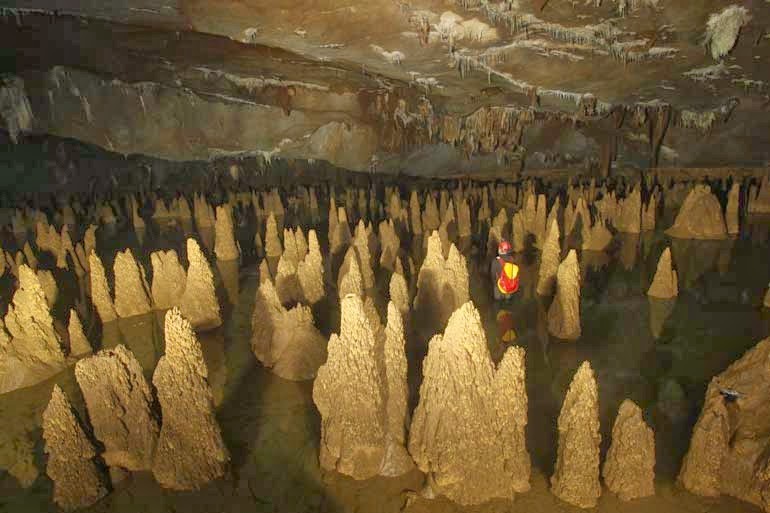 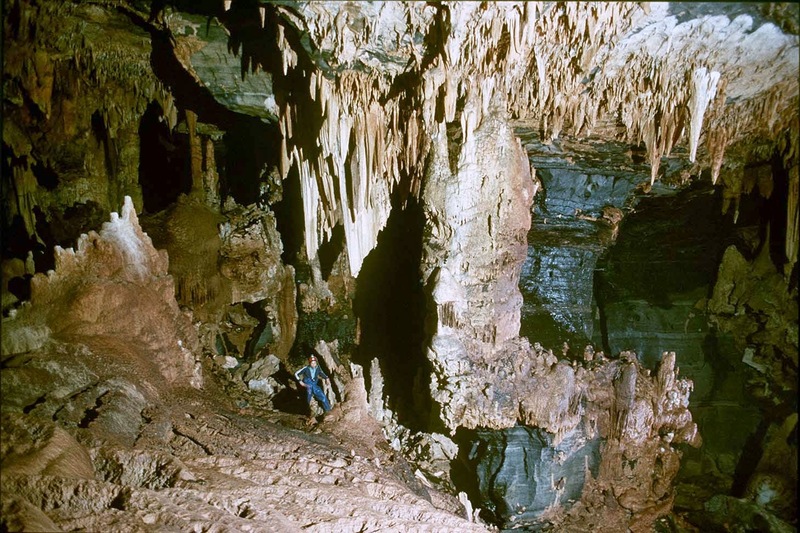 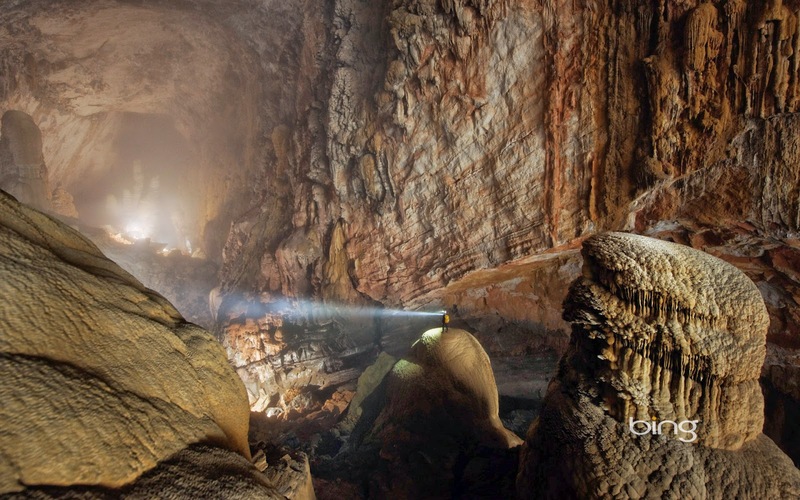 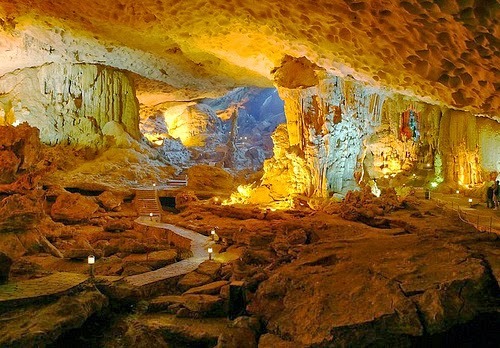 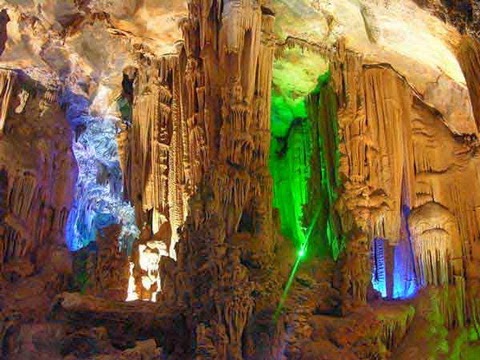 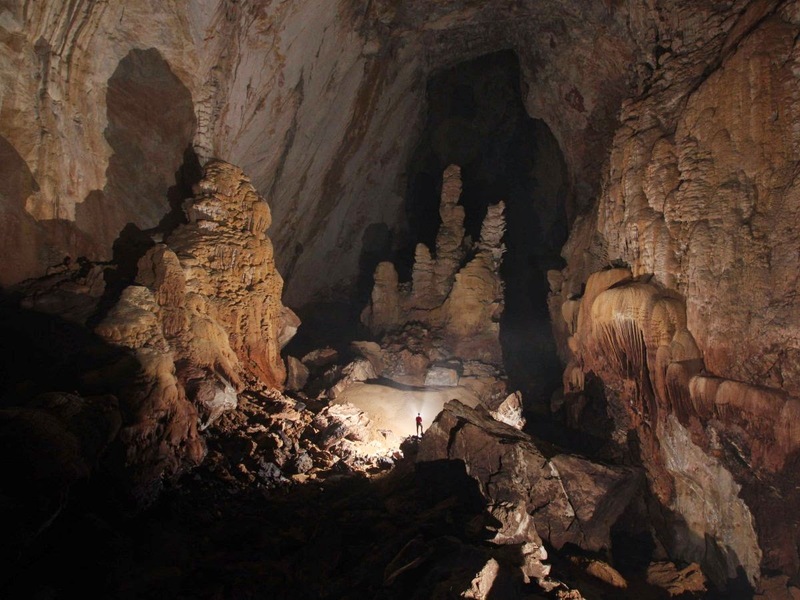 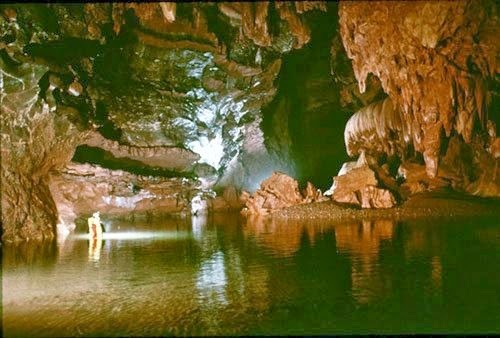 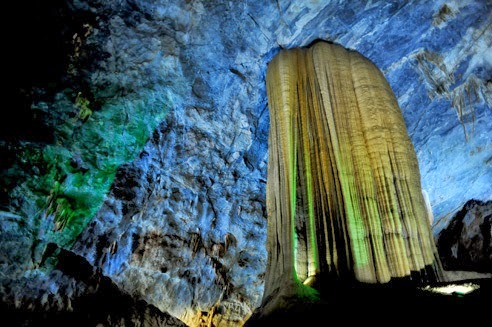 Phong Nha Ke Bang National Park is a typical sample of geological process of Karst category and formation of caves which have been taking place globally, not only in the field of biological diversity but also the best scenery in caves of the world . 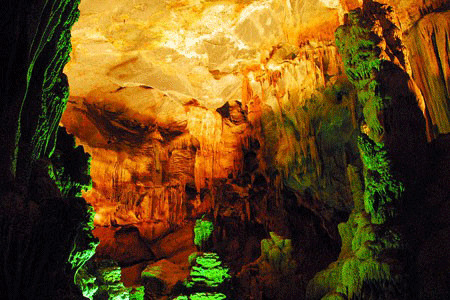 In Phong Nha – Ke Bang National Park, there is still existing a primitive tropical forest, little affected, with the covering of more than 96.2% and features a great biodiversity. 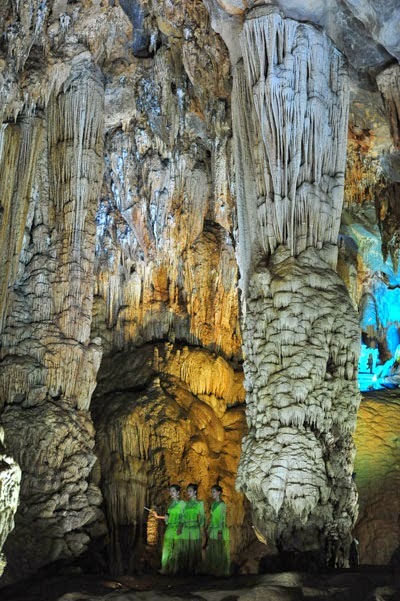 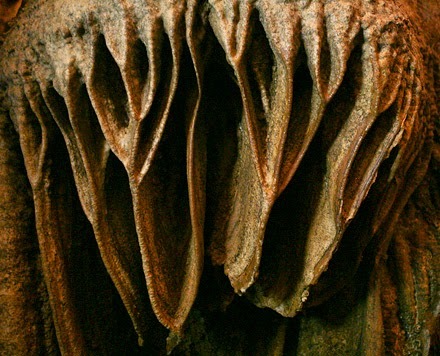 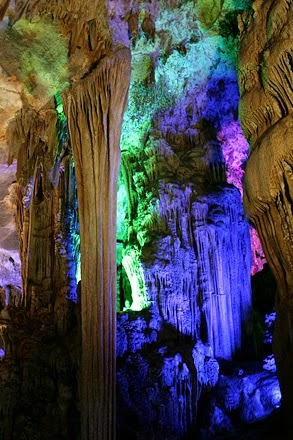 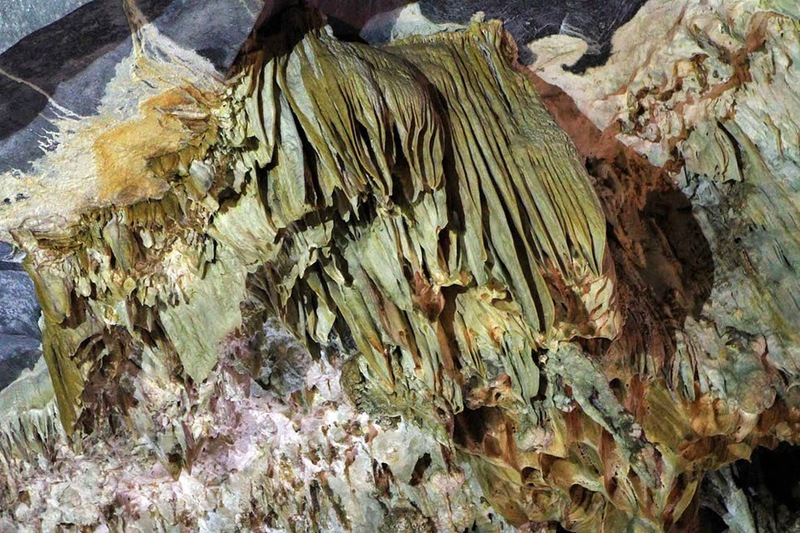 In this region, there is according to the survey data, many endemic plant species of the limestone forest such as Chò nước (platanus kerrii), Cho Dai Nghiến (Burretiodendronhsienmu), Trầm Hương (Agarwood), Ba Kích, Sao ….vessel plants include 1,762 families, 511 stains, 876 species, of which 38 species are listed in the Viet Nam Red Book, 25 species listed in the IUCN Red Book (World Union for Conservation of Nature) and 13 endemic species in Viet Nam. 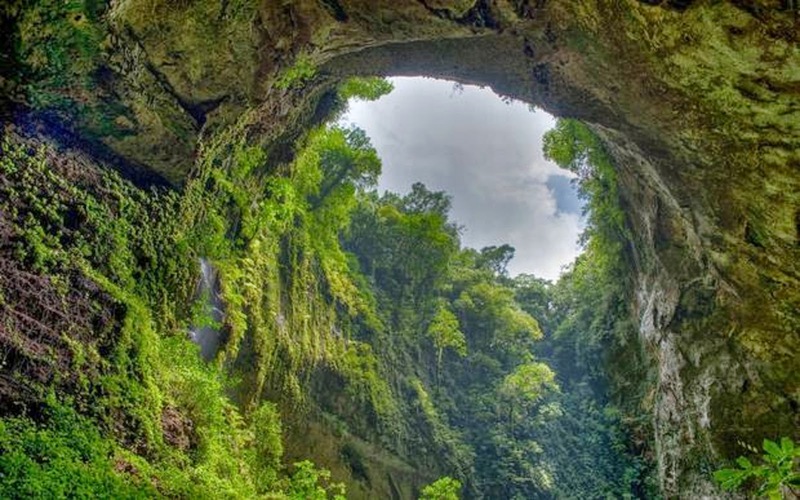 Scientists also discovered many rare plant species in danger of extinction such as the Calocedrus rupestris, paphiopedilum spp and many other rare plant species. 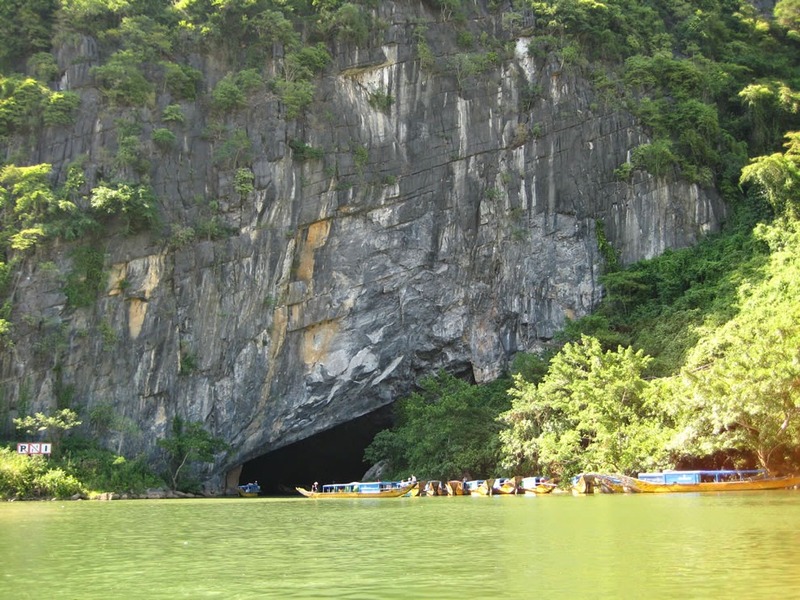 Regarding fauna, 140 mammal species have been identified, 35 species are listed in the Vietnam Red Book and 19 species are listed in the IUCN Red Book, 356 species of birds, 15 species are listed in the Vietnam Red Book, 19 species are listed in the IUCN Red Book, 99 species of reptiles and amphibians, of which 4 new reptile species were discovered such as ear lizards, Phong Nha Geckos, Truong Son Vipers, crotaluses, with 18 species are listed in the Vietnam Red Book and 6 species in the IUCN Red Book, 259 species of butterflies, 162 species of fish, of which there are 4 endemic species to Quang Binh, 47 species of frogs. 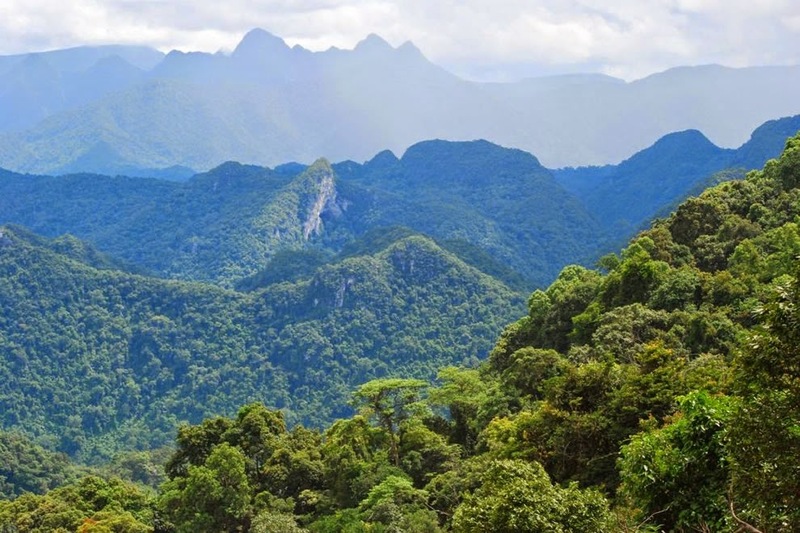 Especially, the forest on limestone forest is home to a significant population of primates in Vietnam, with 10 species are recorded, occupying about 50% of total species of primate species in Vietnam, 7 species of primates are listed in the Vietnam Red Book. 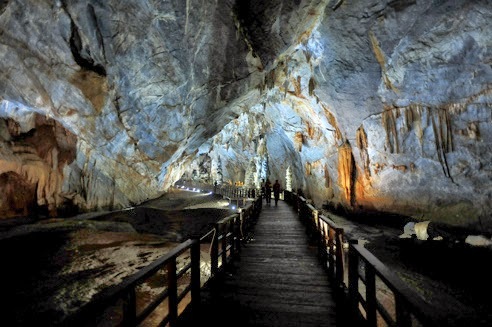 In comparison with other conservation areas and national parks in Vietnam, the abundance of the animal species in Phong Nha-Ke Bang is rather high. 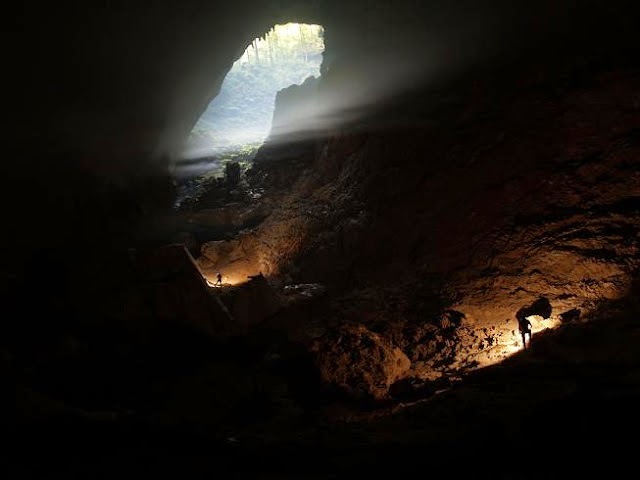 The rare species, especially primates have been found with the highest number of the country. 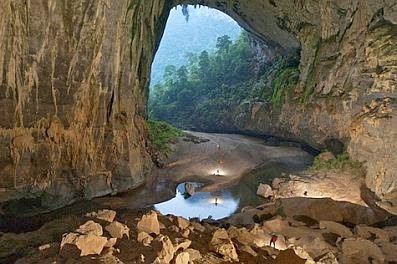 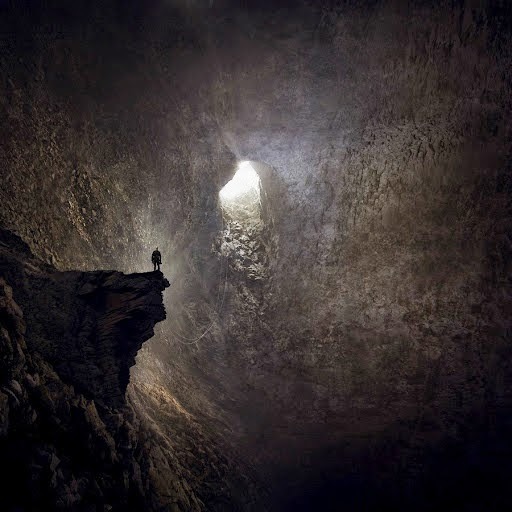 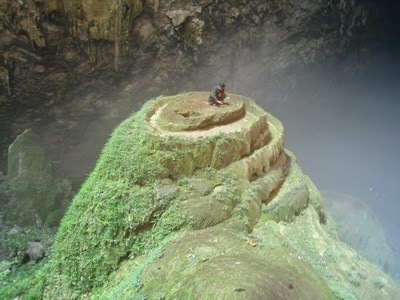 In addition, in the Phong Nha-Ke Bang region live mostly Chut - minority ethnic group, a few Viet and Bru-Van Kieu ethnic. 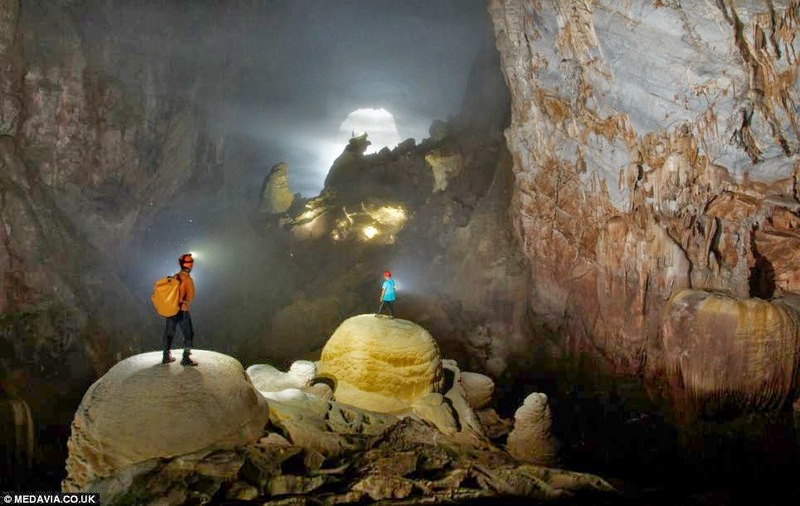 In Quang Binh, there are about 3,500 heads Chut-Sach, Chut-May, Chut-Ruc, Chut-Arem, Chut-Ma Lieng people who mostly scatter in Tuyen Hoa, Minh Hoa and a few in Bo Trach district. 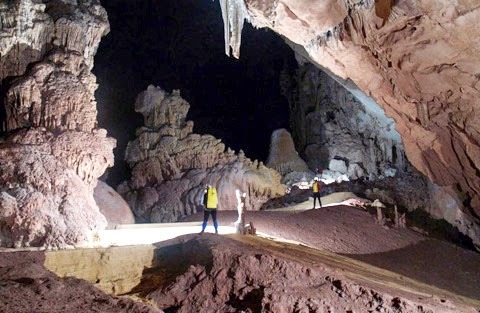 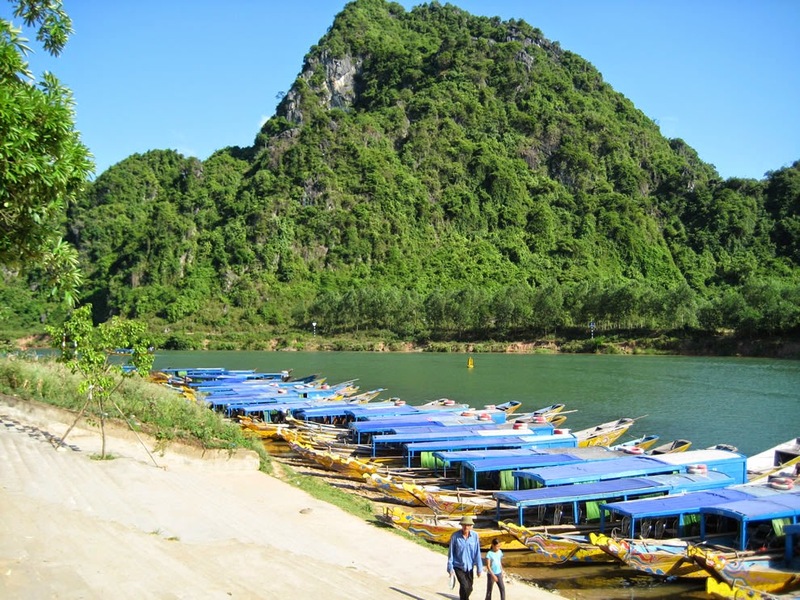 In Phong Nha - Ke Bang area, about 2,450 people of Chut minority ethnic present in Minh Hoa and Bo Trach districts, mostly of them are above mentioned clans, except Chut-Ma Lieng.